As you can clearly see from the picture, Arsen loves animals but that’s not the only thing that our COO is passionate about. Let’s get to know him a little bit better. 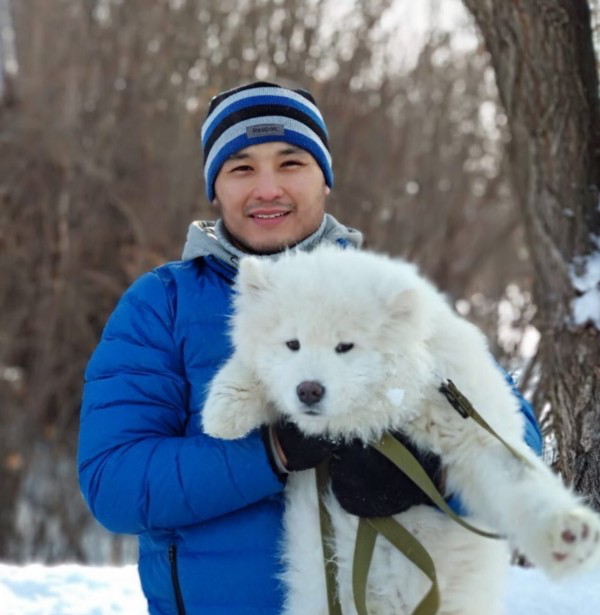 Arsen was born in Aktobe, Kazakhstan and graduated in Jurisprudence from the international Russian-Kazakhstan university. Being eager to be into the Business World he started his entrepreneur career since 16 years old and opened his first major business startup when he was only 18. We can speak about Arsen’s career in business for days and it would not be enough. In the past 10 years Arsen build an entreprenurial background, that contributed in his business-orientation personality. He had 2 successful exits and managed companies in different geolocations in Kazakhstan, UAE and China. You need any advice on how to implement a business? Try asking Arsen , he is an idea factory when it comes to this subject. ➡️ We asked him how did he got in this industry..
Arsen got into Bitcoin in very early years 2013–2014, this is when he was first faced with the technology behind it. The B2B industry has always been his focus especially when he experienced major difficulties while opening his own startup in Dubai. Promotion of products, lack of connections with the local market and difficulties in finding clients sometimes were crucial factors impacting his newly opened business. He struggled for a long time until he came with the idea of ZAZA in collaboration with his sister Zhazira. According to Arsen, ZAZA will help majorly SME’s, to control their own business, expand it and create new opportunities. He came into this idea because he wants to help people to build a business, empower them like never before, give them tools to improve their business activity, boos their potential and be successful. Success is the ultimate goal of every business and definitely ZAZA’s aim: To help businesses be successful. ➡️ What does Arsen think of Blockchain? When the internet was born, people used it to email one another. Companies like Google and Amazon were out of every imagination. Blockchain to him is a revolution of similar size, with unexplored potential and opportunities. Still at an early stage and yet so powerful. Blockchain is the technology of the future! Decentralization guaranteed, offering maximum transparency, the most secure way of saving data immutably and of solving so many real-life problems. … improving himself physically and mentally. Arsen loves sports , he practiced all kinds of sports but from early ages he was into boxing for many years. Now as a grown man he prefers yoga, meditation and sports that take your mind and body into a valley of peace. Arsen reads a lot about psychology, technology and innovations and he loves his dog ‘’Lucky’’ very much. Every morning, when you start the day do what will move you forward, do what will improve you everyday! You can never invest too much in yourself! You can never be completed! Never stop upgrading yourself! Great advice Arsen! Stay tuned and get to know more our team members!